At my age, even opening the cover of a book of more than 900 pages is a sign of optimism. Ron Chernow’s biography of Ulysses S. Grant is such a book, but far from wishing it were over, once I started reading I dreaded the day it would end. Grant, like the rest of us, was a complicated human being, and Chernow explores all the strengths and weaknesses of the man while simultaneously demonstrating why Grant was one of the most consequential and admirable public figures in American history. Grant, whose ambition as a young man was to teach arithmetic, was a hard-luck guy in private life. He repeatedly failed at business and he was gullible and easily snookered. And he had a drinking problem that nearly wrecked his military career. On the other hand, he was a devoted father and husband, a military genius, and a fair and scrupulously honest man. He tried, as general and as president, to make Reconstruction work in the South—and for him that meant guaranteeing the rights of citizenship to black Americans. Although his policies regarding Native Americans weren’t perfect or particularly successful, he was more enlightened in that regard than most of his countrymen. He settled a seemingly intractable dispute with England over damages inflicted on federal properties by the Confederate cruiser Alabama—which had been purchased in England. He blazed a trail by being the first ex-president to exercise diplomacy overseas. And by the time he could see death approaching, he had become such an accomplished writer and chronicler that—in order to assure that his wife would have an income—he braved excruciating pain to write a massive two-volume memoir that is considered one of the best of its genre ever produced in this country. One of the most ill-advised aspects of Grant’s presidency was his persistent attempts to get legislative approval of a treaty through which the United States would have annexed the Dominican Republic. An aspect of Grant’s world view that Chernow develops thoroughly is particularly interesting at the present moment in our national life when controversies over memorials to Confederate leaders have exposed the bitterness between North and South that still exists in some quarters. The Grant that Chernow presents was devoted to the idea of reconciliation after the war. He demonstrated that early, at Appomattox, when he allowed Robert E. Lee’s troops, and Lee himself, some dignity in surrender. Grant traveled through the post-war South, and he warmly greeted former enemies when they called on him. Grant’s wife, Julia Dent, saw to it that there were Confederate veterans among Grant’s pallbearers. Grant, as Chernow describes him, was fearless—almost reckless—in battle and thoughtful in repose. Almost no shock was great enough to break down his self control. He appeared to many of his contemporaries to be a man of silence, but in conversation he was an absorbing storyteller. And from the close of the Civil War until his death, he was wildly popular all over the country and abroad, as he and Julia discovered during the world tour that followed his second term as president. It is a melancholy thing to consider that the United States at that time did not provide a pension for former presidents, and Grant spent his retirement worrying about how he and his family were going to live. Grant isn’t the only fascinating character Chernow brings to life in this book. A host of men and women who played a part in Grant’s life, for better or for worse, provide the context for this story. They include Julia Dent Grant, the sweetheart of Grant’s life, a slaveholder’s daughter who gamely stood by her husband during the war and during his financial travails and who grew so attached to the gracious life of the White House that she was far more reluctant than Grant was to leave—and encouraged him in his unsuccessful attempt to win a third term. Also included are two gentlemen that Dickens would have loved—Grant’s father, Jesse, who was a constant embarrassment as he tried to capitalize on his son’s position, and Julia’s father, Colonel Frederick Dent, an unrepentant slaver whom Grant suffered to live in the White House even as the old man railed against the Union. That’s a smattering of what Chernow has compiled in this biography. No matter how much time you have left, you won’t waste any of it if it’s spent reading this study of one of the finest Americans. The standoff between President Obama and the Republican majority in the House calls to my mind the struggle between President Andrew Johnson and the Republican majority after the Civil War and the murder of Abraham Lincoln. Johnson was a fine man in many respects, but if ever there was a wrong man at the wrong time in the presidency it was he. Johnson, who was from Tennessee, was the only U.S. senator who remained in his seat when his state seceded from the Union. He was elected vice president in 1864 on a fusion ticket with Lincoln and was vaulted into the presidency by Lincoln’s death. The Republicans were the progressive party at the time and the Democrats were not only conservative but identified with the slave-holding South. Johnson himself owned a few household slaves, although one of his daughters remarked that it was difficult sometimes to tell who was slave and who was master. Millions of words have been written about this, but suffice it to say that Johnson and the Republicans disagreed about how the former Confederates states and the former slaves should be treated by the federal government. As that dispute was boiling over, Congress passed a routine bill to fund the Army but attached an unrelated rider — which came to be known as the Tenure of Office Act — which provided that once the president had appointed a federal official with the consent of the Senate, he could not remove the official from office without the consent of the Senate. Johnson believed that the Tenure of Office Act was an unconstitutional incursion on the powers of the president, but he wasn’t prepared to squelch it by vetoing the army appropriations bill. 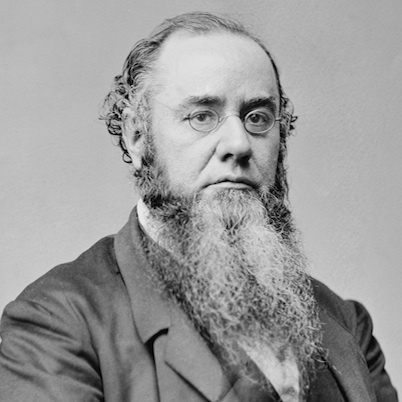 So he signed it, but afterward he deliberately violated it by removing from office Edwin M. Stanton, the secretary of war, who had served in the Lincoln administration in that role and as attorney-general. Because of vague wording in the law, it’s an open question whether Johnson had violated it at all. However, Stanton refused to leave, which led to a chain of events, including Stanton barricading himself in his office, that descended to the level of comic opera. 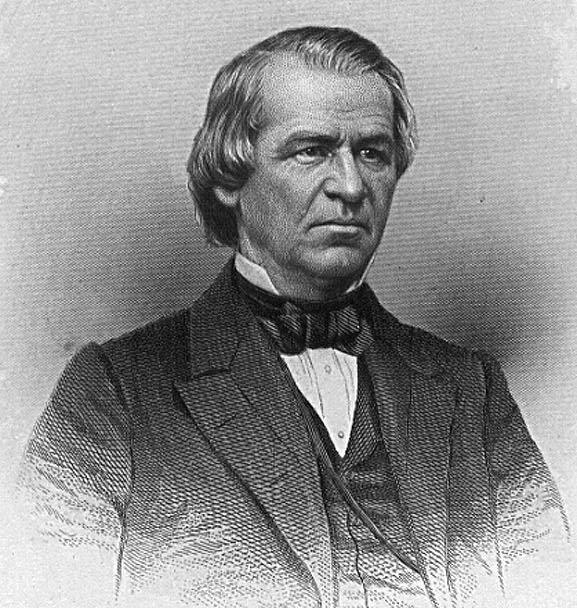 Johnson’s presumed violation of the Tenure of Office Act was the centerpiece of the impeachment proceedings the Republicans brought against him. Johnson was acquitted and completed his term, but the balance of power between the executive and Congress had been disrupted. 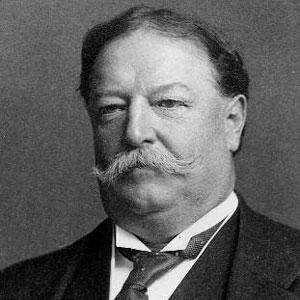 Congress repealed the Tenure of Office Act in 1887, and the U.S. Supreme Court, ruling on a similar law in 1926, said in an opinion written by Chief Justice and former President William Howard Taft, that the Tenure of Office act had been invalid.